Description: Owner Ron Thorne started off buying and selling his own food industry carts for extra cash turnover. After realizing the profit he could make from it, he put his interest and knowledge in building, plumbing, and business to work. 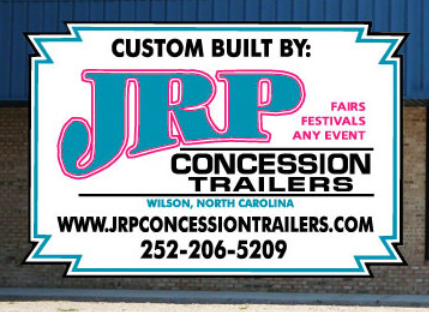 Now, JRP Concession Trailers manufactures and sells a whole lineup of mobile vending units out of their warehouse in North Carolina. 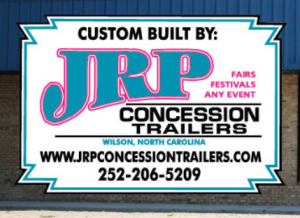 Options include Hot Dog Carts, 6-8′ Trailers both Concession and BBQ, and a new line of ‘Grillmaster mobile trucks.’ They can custom build and fit your trailer to meet needs, offer full detail wraps, and can even outfit the back of your vending vehicle with a following drum cooker.